This template shows the Bar Chart. It was created in ConceptDraw DIAGRAM diagramming and vector drawing software using the ready-to-use objects from the Bar Graphs Solution from Graphs and Charts area of ConceptDraw Solution Park. The Bar Chart visualizes graphically the data of different categories or groups and allows to compare them. The categories may consist of separate or discrete data. It’s very effective way of displaying the information. Bar Charts are widely used in the business, management, economics, manufacturing, etc. This Bar Chart displays the sales of the fruits in kilograms. 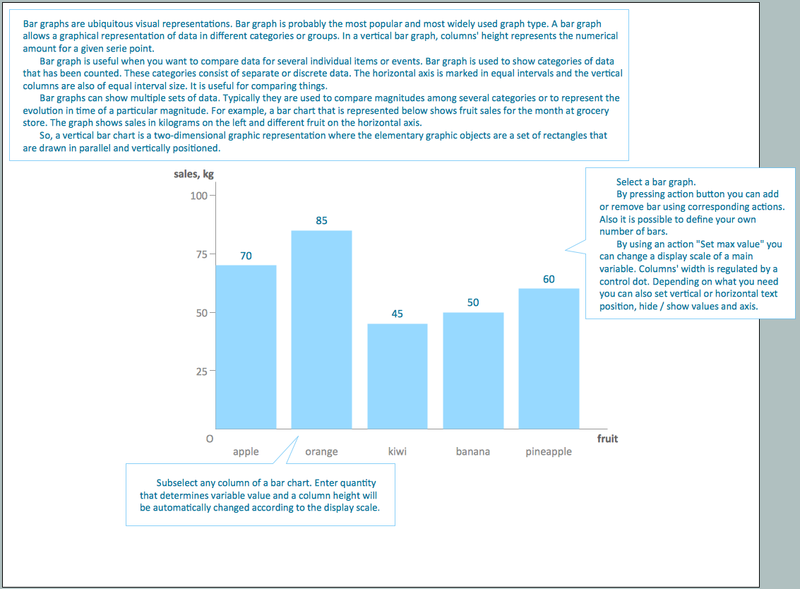 Using the Bar Graphs Solution for ConceptDraw DIAGRAM you can create your own professional looking Bar Charts quick and easy. 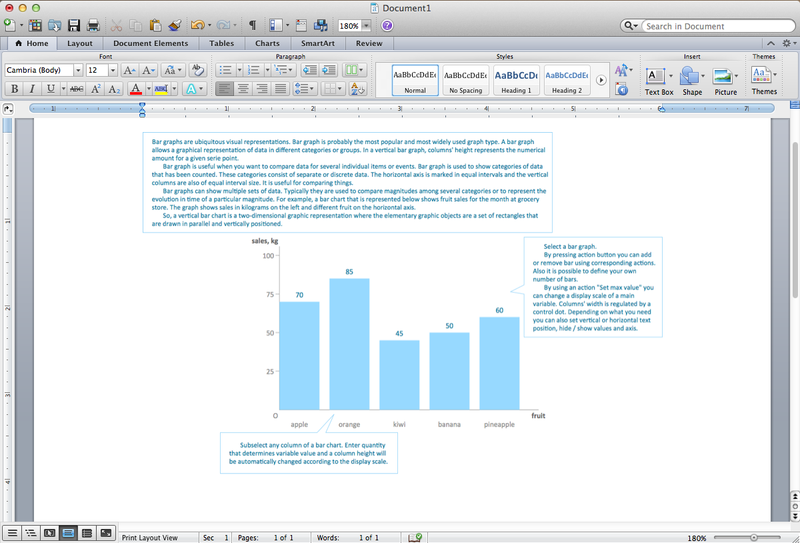 This picture shows the Bar Chart in the MS Word. This sample shows the Horizontal Bar Chart of the average monthly rainfalls. This sample was created in ConceptDraw DIAGRAM v12 diagramming and vector drawing software using the Bar Graphs Solution from the Graphs and Charts area of ConceptDraw Solution Park. These bar chart templates was designed using ConceptDraw DIAGRAM v12 diagramming and vector drawing software extended with Bar Graphs solution from Graphs and Charts area of ConceptDraw Solution Park.